It is disheartening to note that there is an upward trend in the crime rate in West Virginia. This fact is based on data gathered in the last 11 years. For 2014, the crime rate in West Virginia is expected to be higher than in 2010. In that year, the crime rate in West Virginia was lower than the national average by 21.6%. Likewise, state property crime was also lower by 22.28% than the national average. This emphasizes the fact that, now more than ever, the need for reliable police officers is crucial in controlling the rising crime rate in this state. The police departments in West Virginia have their own set of requirements for new recruits. However, they all have a number of common police academy requirements in West Virginia. You need to satisfy the following requirements if you are going to be accepted in the academy. Must be at least 21 years of age and no more than 39 years of age prior to enlistment. You may be 20 at the date of test, but you have to be 21 prior to your enlistment date. Must have proof of residency of two years prior to applying in the academy. Must have a high school diploma or GED. College credits are not required. Must be registered with the Selective Service if male aged 18 to 25. There are several physical fitness tests standards that you must also undergo for you to be accepted in the academy. Must complete 27 properly executed push-ups within one minute. This is designed to measure your upper body muscular endurance and absolute strength. Must complete 29 properly executed sit-ups within one minute. This is designed to determine your abdominal muscular endurance. Must be able to complete the 1.5 mile run within 14 minutes, 52 seconds. This is designed to measure your cardiovascular capacity. Must pass a written exam. The set of examinations consists of vocabulary, reading comprehension, spelling, language, number operations and problem solving. More details can be had at http://www.charlestonwvpolice.org/Pages/hiring.htm. Your starting salary in this police department is $36,228. But you have to satisfy their requirements aside from that of the state. Must pass the Physical Ability Test (PAT) which consists of twenty seven (27) bent leg sit-ups completed in one minute, eighteen (18) conventional straight leg push-ups in one minute, and a 1.5 mile run completed in 15 minutes and 20 seconds. For more details, you can visit http://www.hpdrecruit.com/index.html. If you will join this police department, you can expect an annual salary of $44,947. But before you can join their police force, you must also satisfy the following requirements. Must pass the Physical Ability Test. You will be asked to do 27 sit-ups in one minute, 18 push-ups in one minute and do a 1.5 mile run in 15 minutes and 20 seconds at the maximum. If you want more information, just visit their website at http://pkbpolice.com/wp/recruitment. You must establish a permanent residence within a 15 nautical mile radius of Spruce Street, Morgantown, WV. You must successfully complete and pass all the mandatory examinations that the PD will give you. Preference points will be given to former members of the military as per WV Code 6-13-1. 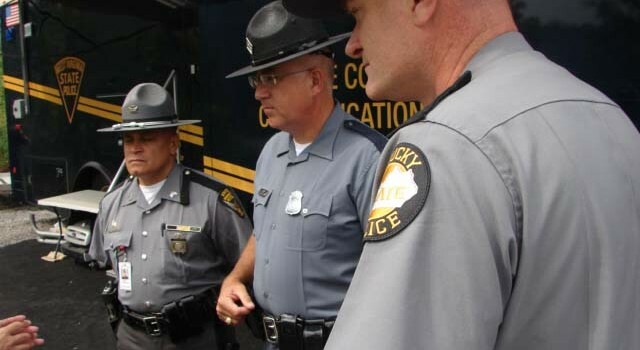 You can get more details about their recruitment process at http://www.morgantownwv.gov/job-openings-police-officer-applicants-sought/. Must have no convictions for the following criminal offenses: domestic assault or domestic battery, DUI or any felony. Must be a bona fide resident of the City, Ohio County or approved area in Brooke and Marshall Counties. Veterans and women are encouraged to apply so long as they fulfill all the standard requirements. If you know how to prepare for the police academy in West Virginia, your chances of being accepted will definitely increase. In this regard, you will need ample help in your preparation, especially with regards to physical fitness. You need to be physically fit, not just mentally prepared, because this is your ticket to the academy. No matter how high your written exams are, if you fail your physical fitness tests, you won’t be accepted at the academy. It would help your cause if you visit www.PrepareForThePoliceAcademy.com. On this website, you will learn how to improve your fitness. Their study guide can help you ace all your exams; from the physical fitness tests to all the written exams that you will be required to take. You should not even think of applying to become a cop in West Virginian without first seeing this study guide.